Niles Hollowell-Dhar, a.k.a. 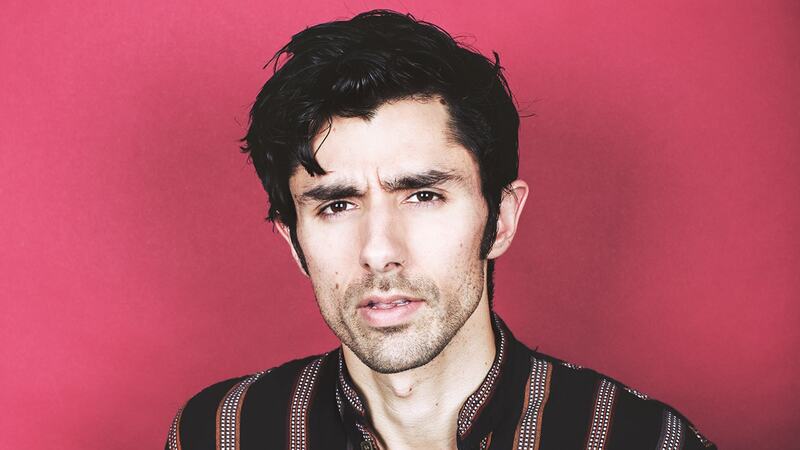 KSHMR, is the multi-platinum producer behind some of the hardest-hitting anthems of the last decade. He’s collaborated with Headhunterz, Tiësto, R3hab, DVBBS & Borgeous, Dimitri Vegas & Like Mike and many more, creating huge sounds and massive drops. Here he takes us inside his unique production chops and tactics: apparently, it’s all about being subtle and keeping a human touch. KSHMR, take us back to your early years. As a kid, what sparked your passion? What made you want build a makeshift studio to start creating your own music? Well, there was a point in my childhood when my parents split and I didn’t see my dad a lot. I was just frustrated in my life, and the way to get that out for me was music. I figured out how to record with my computer. I learned how to make beats. I was even rapping back then, believe it or not. The whole process of making a song, having this art and giving it to people became important to me. You have a unique heritage, mixed Indian/Kashmiri. How did the music that surrounded your upbringing influence the music you create today? My dad came from India to the US and brought with him his love of classic Bollywood movies and the Beatles. I wasn’t that into all that as a kid. But as I grew up, I started to appreciate my heritage and what made me different. And I began to embrace this wealth of music and exotic instruments we had at my house and started using them in my work. Growing up in northern California, I went to the same high school as guys like G-Eazy and The Pack. All the kids at my school were into rap; this is when the Hyphy Movement was everything – Keak da Sneak, E-40, Mistah F.A.B. – they were the pinnacle. I figured out how to record with my computer and janky setup. I had this spot at my mom’s house, and I’d charge $15/hr. to record and produce for whoever came over. I would make CDs and sell them at school. Having the people there and charging money meant I had to make it sound dope. I had to be quick and impress people fast. It almost felt like boxing. You only truly learn how to box once a guy starts throwing punches at you. So for me, the high-pressure situation was a great way to learn. Some identifiable qualities in your sound are the unique articulations, modulations, pitch bends, drops… Feels alive. How do you achieve these sounds? It’s beneficial to think like a real player does. Players don’t just go note to note. Sure, you can make everything perfect, quantized to grid. But real players, they bend. There’s inflictions in-between, and that’s what makes it feel real — the imperfections. You’ve got to find creative ways to make it sound like a human is behind it all. And that’s what gets lost in a lot of dance music. The synths may not be struggling to get to the next note; they just pop up there – but that’s not what humans do. A real human player has to sort of struggle between each note. I think pitch-bending does that real well. Anytime you can sort of strain it, you just hit a human chord. I’m all about key switching different articulations in the course of a melody. When you’re really precise, you can make a horn sound just like the real thing. But it does require more than just plug-and-play. You have to make it breathe like a real player would breathe into it, versus making it as big as possible. It takes a lot of extra effort in terms of making it play well and sit well in a mix. Describe your workflow in the studio: What’s your mental process when producing, mixing, and editing? When I’m searching for a particular kind of sound, it’s about being subtle. 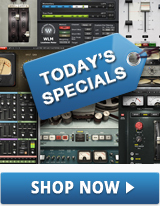 The Doubler plugin is an example for how to get vocals wider, but still keep them subtle. I really like that chorused effect I get from it when I want to widen something, but you can tune it, you can control the basic shape of the Doubler’s EQ, and you can also not pan it hard left and hard right. You can be more subtle. I think that’s the problem – oftentimes we reach to extremes, but it just gets you in trouble. So having a degree of scalability is important. As a producer, even with the subtlety you’re describing, your tracks sound so huge. Describe your management of the stereo field in your mixes. That’s funny! I feel like I abuse it. There’s definitely a lot of imaging stuff going on. The stereo field is actually one case where I’ll do really extreme things. Like on a drop, I might cut all side information at the transient of each and every kick. It’s an LFO effect, similar to sidechaining: you’re cutting all the side information, so the kick is mono. In terms of getting things really wide, my new thing is trying to avoid the Haas effect as much as possible. Instead of taking one sound and putting it all around you, try to take a multitude of sounds and give them their own position. Not only does that make it more interesting, you also get a better mix because you’re not phasing things out: you have things that are localized. I use the Linear Phase Multiband Compressor a lot, because some of the other multiband compressors introduce phasing problems, and the Linear MB doesn’t. I use it once I get to the final mixing stages. Oftentimes I’ll leave the very low end and the highs unaffected. And then in order to get a brighter and heavier sound, I aim sort of in the middle there – it’s kind of like approaching the ‘smiley face’ principle, but doing so in a way that’s subtractive. Another thing that I love to do is have a sound that sounds great in mono and then make it fill up the stereo field with everything else, like with a reverb or delay. Starting with great mono signals always gives me the best results. You’re collaborating with other great producers like Tiësto, R3HAB, Martin Garrix, Headhunterz, Diablo… Do you guys share patches or presets with each other? Yeah, definitely. I mean, who better to learn from than the people you look up to? Headhunterz…such an inspiration production-wise. I couldn’t tell you how many times I’ve used stuff from songs we did together. I think it’s a generally benevolent, free-loving scene that we’ve got here with dance music. There are some who are a little more Machiavellian and they don’t want to share or they’re worried that their throne is going to be usurped because they gave you a certain kick sample. But most people are happy to share. And most people who’ve had a career and enjoy a sense of identity and presence, they know you can’t be them just because you’ve got their sounds. The goal is to produce magic in the studio. We wake up, produce, sleep and repeat.... Now you’re saying you accidently dragged a MIDI sequence into the wrong track and created a hit! But you deliver consistently, so what’s your secret? Not all accidents are magic, but for me, most of the magic is an accident. You know, it never feels like magic to you when you’ve spent hours working on it. To this day, my best stuff was always a mistake that sounded cool. I think I’m just doing what I did from the beginning. You know the expression: ‘Throwing gum on the wall, and seeing what sticks’? To this day, I just throw a ton of ideas at a wall and see what sticks. After years of producing and learning and experimenting, I’ve just become a better thrower. How about creating catchy melodies? I don’t think anyone knows how that happens. There’s of course concepts like symmetry, memorability, and harmonic perception. But the truth is, I focus on surprising myself. I try to surprise myself by putting a weird note here, a weird note there, see what happens. How would you describe the KSHMR touch to remixes? How do you invoke your personal touch? I usually try to give it what it doesn’t have yet. Like if it’s a big pop kind of thing, I try to make it darker. If it’s organic, I try to make it more synthy, and vice versa. I like to make stuff darker, use chords that are a little more menacing. I try to give tracks something they don’t have yet. I think that’s the best way to think about it. Remixing is a fun opportunity for you to sort of play devil’s advocate in terms of the production choices. Should someone be well versed in music theory and synthesis to be an effective or good producer? Remember when I talked about throwing things at the wall? One way to become a better thrower is by noticing patterns. It could take you a long time to notice which patterns are good. Or it could take less time if you just sit down and try to understand what it is you’re doing. Now, you could still become awesome if you don’t pick up the theory; you’re gonna learn eventually. You’ll arrive at the same conclusions that the people who wrote the book did. It’s just that you didn’t read the book, so it might take you ten times longer. I’d like to think I have some music theory. I’m not the most well-versed. But I have enough to get me out of tricky situations. But at the end of the day, if you can’t make a song with just a piano and melody – If you need all the bells and whistles to make a song, you’re not really a producer in my book. Man, I sounded just like an old guy right there, it’s scary! The future of music technology, EDM & digital music production – Where are things going? Where do you think we’ll be tomorrow? This whole ‘EDM’ term is really naive to me. It’s just how music is made now. You have hip-hop music, but it’s called trap now. You got pop music, but it’s called progressive house now… and so on. To put EDM in its own category because it’s made with a computer isn’t right. For anyone who thinks it’s a genre, I think that line is gonna blur. I think it’s shortsighted to think of music made with a computer as a genre. By the next generation, I don’t think there will be such a question. All music will be electronic music.